What excites us the most? Conscious contemporary style! Modern and easy looks that are somehow more sustainable – being timeless, sustainably produced, vintage or in some other way a better choice. This is The Make It Last Edits, where we bring you our favorite conscious styles right now. Our second theme is statement bags. Enjoy! Left: Bag made of vegetable tanned leather, Filippa K. T-shirt Tôteme, dungarees Frame Denim. Right: Bag that is hand made in South Africa and every element of this bag is entirely traceable, sustainable and ethically sourced, Okapi. Dress Stella McCartney. 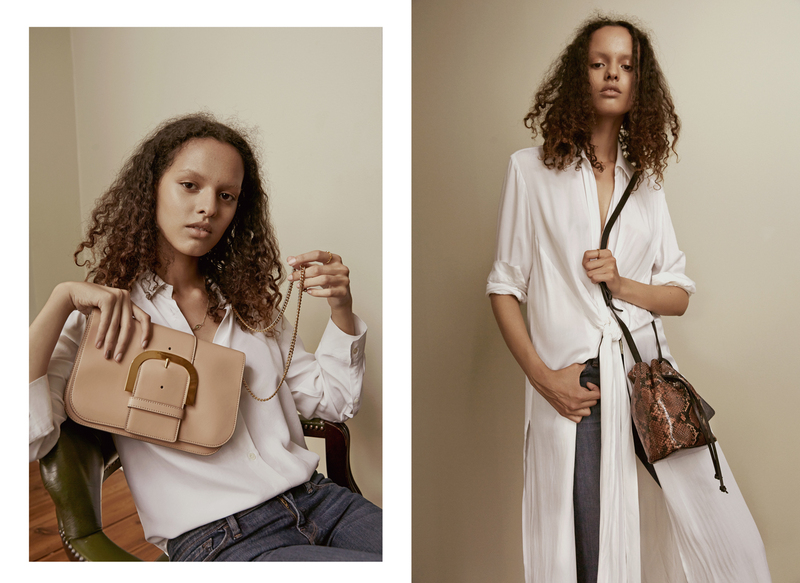 Left: Bag made from Eco Alter Nappa, an innovative material with a coating created from over 50 percent vegetable oil, Stella McCartney. Shirt Filippa K, jeans Frame Denim, necklace Maria Nilsdotter, ring Sophie by Sophie. 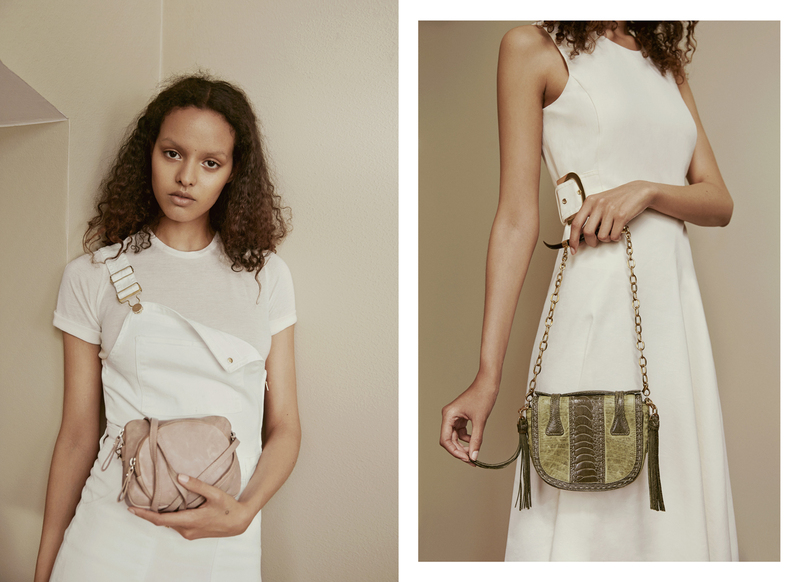 Right: Bag, ATP Atelier (fall 2015), which is made in Italy by local craftsmen. ATP Atelier use a vegetable dye for their leather instead of conventional dyes with chrome, to minimize the environmental impact. Top and jeans second-hand, necklace Sophie by Sophie, ring Maria Nilsdotter. Emma Elwin: Ni är grymma!!! !